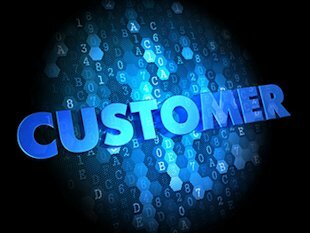 Customer on Digital Background.Customer experience: it’s been a big buzzword for years now, but mostly just that – something talked about, watched and waited upon, but never acted on – until now. According to Forrester Principal Analyst Kate Leggett in a new report, Navigate the Future of Customer Service in 2014, customers are becoming increasingly dissatisfied because organizations are often delivering (1) inconsistent cross-channel experiences, (2) reactive not proactive customer service, (3) one-size-fits-all customer engagement processes, and (4) inefficient agent interactions. B2B Content Marketing Statistics and Trends: How Do You Measure Up?